Jim Gillcrist joined the Naval Helicopter Association (NHA) Staff in February 2019 as Executive Director. Prior to joining NHA, he served 27 years in the United States Navy as a Naval Aviator, retiring in 2008 as a Captain. In the Navy, Jim flew the SH-2F and SH-60B multi-mission helicopters, deploying and operating around the globe on a variety of surface combatant ships. 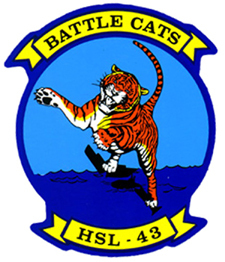 Operationally, he enjoyed numerous leadership positions to include Detachment Officer-in-Charge, Squadron Commanding Officer of HSL-43 Battle Cats, and Air Officer aboard an Amphibious Assault Ship. 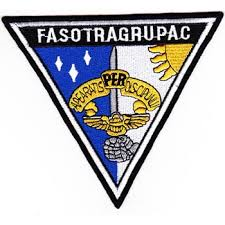 His shore duty assignments included a Pentagon tour as an Action Officer in the C4ISR Directorate and Commanding Officer of a Fleet Aviation Specialized Operational Training Group. Jim is Navy Helicopter Designator Number 17179 receiving his Wings on July 1, 1983 at HT-18 at NAS Whiting Field, Milton, FL. After transitioning from the Navy, Jim worked as a Business Consultant / Mentor for Science Applications International Corporation directly involved in metric-based, continuous process improvement within the U.S. Navy’s Naval Aviation Enterprise. He then joined the San Diego Fire-Rescue Department as Chief of Air Operations. In this capacity, he provided oversight for day / night aerial fire fighting, emergency medical services transport, and search and rescue for the City of San Diego and County. Most recently, Jim served as Northrop Grumman Aerospace System’s Vertical Takeoff Unmanned Aerial Vehicle Fleet Integration and Mission Engineering Lead. Jim holds a Bachelor of Arts Degree in Environmental Science from the University of Virginia, graduated from National Defense University’s Advanced Management Program, graduated from the Asia Pacific Center for Security Studies, and holds a Master of Science Degree in Executive Leadership from the University of San Diego.